Greg Pak at Pakbuzz was a dedicated AlphaSmart Dana user. It’s portability, small form factor, and battery life made the Dana his go-to writing machine. But then Pak grabbed a Newton eMate off eBay, for comparison’s sake, and has declared it the “greatest lo-tech writing machine on the planet!” The exclamation point means he’s serious. The difference is in the eMate’s syncing capabilities (thanks to the newest batch of Mac-to-Newton sync software), security, data safety, and geekiness. The Dana and Neo win in terms of speed, weight, and long-term viability, since they’re still in production. The fact that the AlphaSmart products both sync with USB out of the box make them attractive. Pak’s issues with document syncing seem like a killer, though. I love the ability to drop a NewtonWorks document onto my Mac desktop as a rich text document and be done with it. Battery life on both AlphaSmart products, however, seems killer. Posted by davelawrence8 at 6:45 am on November 24th, 2009. No comments... » Categories: eMate, lowend. Tags: alphasmart, apple, dana, eMate, neo, newton, smackdown, sync, writing. Subscribe via RSS. Since my eMate 300 arrived at the end of last summer, I’ve struggled with ideas on how to use it. I bought mine mainly as a testing machine; my MessagePad 110 could only run Newton OS 1.x applications, and I wanted to experiment with more recent Newton apps. Also, eMates don’t have the portability and flexibility of their MP2x00 cousins. So, what to do? It’s only recently, as I think back to the eMate’s original use (education, writing, word processing), that I’ve thought of a practical use for the little green machine: a journal writer. I’ve been a writer as long as I can remember. As a kid, I used a typewriter to hammer out short stories. When I discovered the computer, it opened up a whole new world for me. I grew up to be editor of my high school and college newspaper, earned my degree in journalism, and went on to be a professional public relations writer. 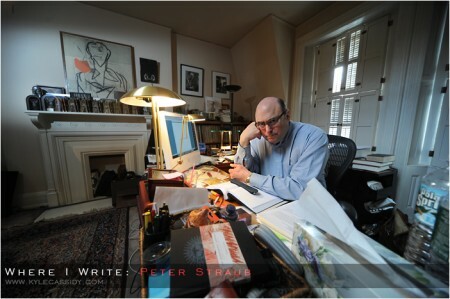 I live and breathe the written word. A few years ago, I picked up journaling after a long hiatus. A plain notepad and pen have been the victims of random thoughts since I graduated college in 2003. After using a keyboard for so long, though, I notice my hand fatigues after only a few paragraphs. It’s no laughing matter. I thought about using one of my Mac SEs as a journaling machine, just as an excuse to turn on of the little guys, but the SEs lack the true portability I was looking for. Laptops are fine – I have two iBooks – but finding excuses to use my classic Apple hardware was the goal. The eMate was just what I was looking for in a writing machine. At home, the eMate works fine. But the rechargable battery is dead, and it’s not like a standard MessagePad with replaceable batteries. The eMate’s battery is wired in. So my next project is to find a usable eMate battery and replace my dead one. When that happens, the eMate’s portability will be good enough to carry with me on vacations, trips to the coffeeshop, and even local performances or exhibits, where I can type down my thoughts. The smaller eMate keyboard will take some getting used to, but I’ve used it a few times already, and it’s not that big of a change. In the meantime, I’m going to use Newton Works (with, perhaps, a few add-ons) to keep an electronic journal. I may search for other word processor apps, just to test the options, and implement a folder structure by year for organization. Now that I have Newton-to-OS X syncing down pat, I can even export my entries as text files – just in case any of them work as a blog post. It’s hard to justify owning an eMate just for testing and projects alone. Over time, I can think about other uses for it other than journaling – like recipe-keeping (that old cliché) or even Twittering. Who knows? All this will give me an excuse to poke around the Newton 2.0 interface a bit more, try out some apps, and goof around with my newest Newton. 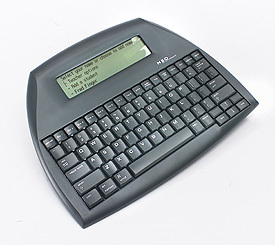 Stay tuned – the next Newton Poetry post could be typed out on an eMate keyboard. Posted by davelawrence8 at 6:04 am on February 23rd, 2009. 13 comments... » Categories: eMate, howto, newton, software. Tags: eMate, journal, keyboard, messagepad, newton, newton works, newtworks, OS X, text, write, writing. Subscribe via RSS. “What the heck is this site all about, anyway?” you may ask yourself. Others have. Misspelled words, an abandoned piece of hardware, and a green screen – what does it all add up to? Posted by davelawrence8 at 2:18 pm on February 28th, 2008. 13 comments... » Categories: messagepad, newton, poem. Tags: apple, blog, blogging, blogs, DIY, how to, howto, messagepad, newton, poem, poet, poetry, roethke, saginaw, write, writing. Subscribe via RSS. I took my first look at the “Most Popular Pages” feature on WordPress, and – to no surprise – a few poems were the most viewed posts here on Newton Poetry. There are tons of people, myself included, who look for specific poems, analysis of poems, and collections of certain authors’ poems, and sometimes those searches land them here. Which is cool, but sometimes I wonder if the jabberwocky they’re presented makes any sense to them. After all, my Newton 110 misspells words all the time. One commenter even asked me what the hell was going on, and when was I going to learn how to write correctly. He never took the time to see what this site was all about – namely, putting poems into the Newton and blogging what the MessagePad spits out. Put in “my heart breaks” and the Newton might read it as “my fart burps.” It’s one of the fun hobbies someone can play with on the Newton. Take faxing. I tried it out, and it was super easy. Someone could definitely discover how to do it themselves (if Apple’s good at anything, its an intuitive interface). But should they do a quick Google or blog search on faxing with a Newton, I would hope Newton Poetry would pop up and help them out. And like any Apple fan, I’m always interested in the wider world of Macintosh, iPods, iPhones, Apple history, and trends on where my favorite company is heading. No Newton is an island, and so from time to time Newton Poetry will touch on things that I find interesting. Like the iPod Shuffle announcement, or the decision over whether or not to wait and buy an iPhone. The Newton community is still a sizeable group, and there are die-hards out there that keep the faith and keep the platform going. They’re very accepting of newbies (thankfully), mostly because they’re so proud of the product they champion, and they freely part with best practices on how to get the most out of the MessagePad. That means I don’t have to reinvent the wheel, and figure all this stuff out on my own. DIY culture, however, says that you gain enjoyment out of the process and the end product, and few consumer electronics have inspired as much modding as the Newton. It was never intended to be a Twitter client – because it came out before Twitter was ever even thought of, natch – but I’ll be darned if someone didn’t figure out a way to make it work. That’s what makes the community so fun. So there we go. Newton Poetry will highlight Newton Poetry, as always, but will also touch on how-to tips, Newton history, other Apple products (especially the portable varieties), and low-end tech culture in general. Call it a mission statement – whatever. 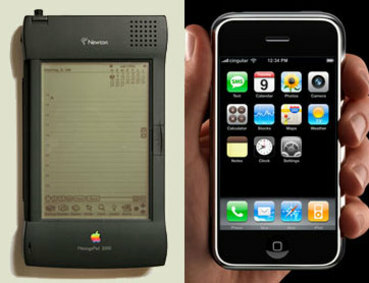 I love poetry and literature, I love Apple products old and new, and I love playing around with my Newton. If that’s not inspiration enough for a blog, I don’t know what is. Posted by davelawrence8 at 7:11 am on February 25th, 2008. No comments... » Categories: blogs, newton. Tags: apple, blog, blogging, DIY, iphone, ipod, life, mac, macintosh, messagepad, newton, poetry, twitter, wordpress, write, writing. Subscribe via RSS. Wired.com: thinking the same thing. Great minds – and web sites – think alike. My post on the other iPhone. Wired.com’s post on the other iPhone. The difference is Wired has access to Linksys reps and great sources. I wonder if something is in the water. Posted by davelawrence8 at 10:17 am on December 19th, 2007. No comments... » Categories: ipod/iphone. Tags: apple, blog, cisco, iphone, ipod, ipod touch, linksys, mac, news, newton, wired, writing. Subscribe via RSS.